It was competitive because it was their job to make it good in competition but not the bike at all..
RT - Why use the Cagiva engine? RT - Did Merlin change the engines as all or was it standard? RT - Did Merlin change the engine or did Cagiva? 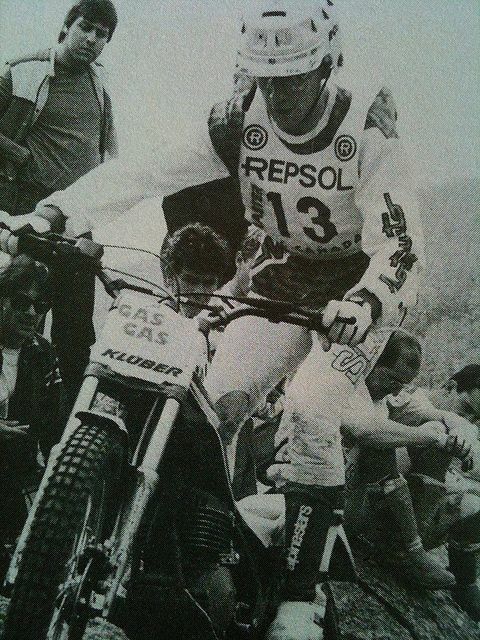 RT - In 1982 you got 14th in Trials world Championship and in 1983 you got no points why? 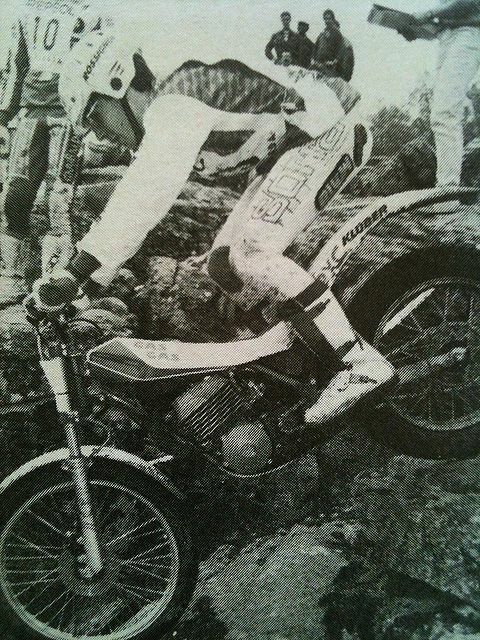 RT - Was the twinshock 1982 influenced by Bultaco ? RT - Did Paxau work on the Merlin? RT - Did he help develop the bikes from one year to the next ? RT - Who designed the red Merlin with the white wheels. Maybe Ignacio , i don’t know. RT - The 1985 Gallach bike had 6 spoke wheels.Where did that i deal come from ? RT - Was this a big risk at the time? Yes,It was forbidden for this bike to be ridden in some country. In Belgium it was necessary to put a spacer between the spokes. RT - Which was the best selling bike for Merlin. RT - You ride for Merlin at the competitions but what did you do during the week ? RT - What did you do at the factory ? RT - Upstairs at the Fornells factory what was the large room used for ? RT - Why did Merlin go bad? RT - I hear that a water cooled Merlin was made . Is this true ? RT - Why was the 1985 Merlin twinshock made when the Yamaha trial bike was already a mono shock? RT - What did you do after Merlin? RT - What did you do for GasGas? I only work and only a little drive. Issued to test the bikes before were sold to make sure they worked properly. RT - Do you have a good technical knowledge?. I work with the motorcycle all of my life. I know when an engine is good and can identify engines that are good for competition. This is good for everybody . Yes , i know this. RT - When Lejeuene was employed by Merlin did Merlin call Lejeuene or did Lejeune call Merlin? RT - Did Paco Bulto every come to the factory to see his son and to see how things were?. RT - What was the best time in your career? 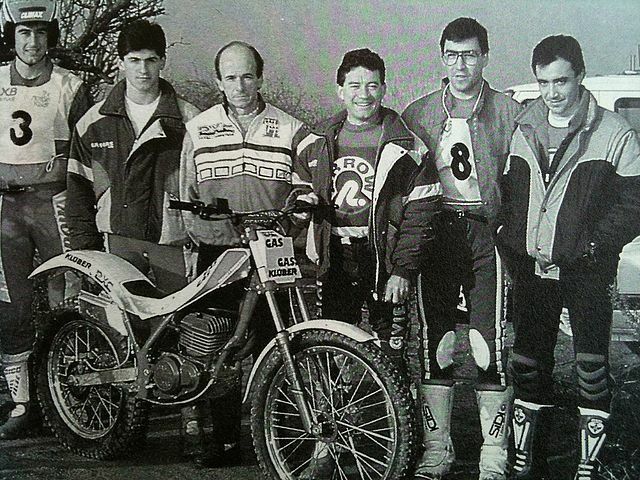 I got a 6th place at the Spanish trials in 1987. 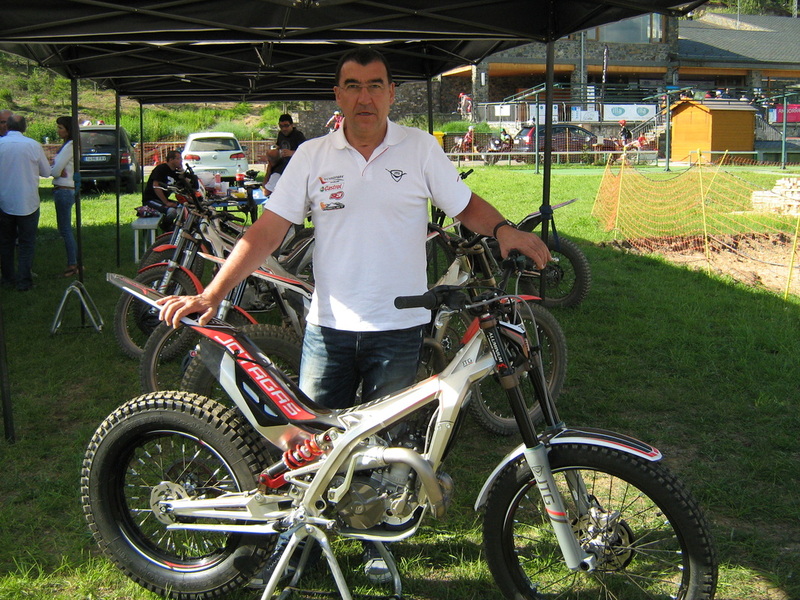 RT - You were chosen to ride the trials des Nations . That must have been a great honour for you? I have some photo of the factory . I will send you. 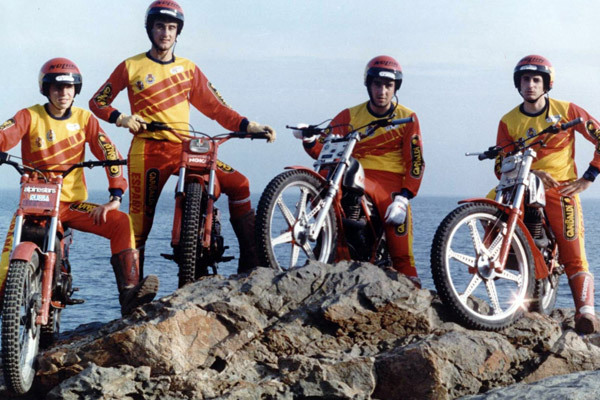 Tarres , Cordina ,Freixas and Gallach The 1985 Spanish Trials Des Nations tram.